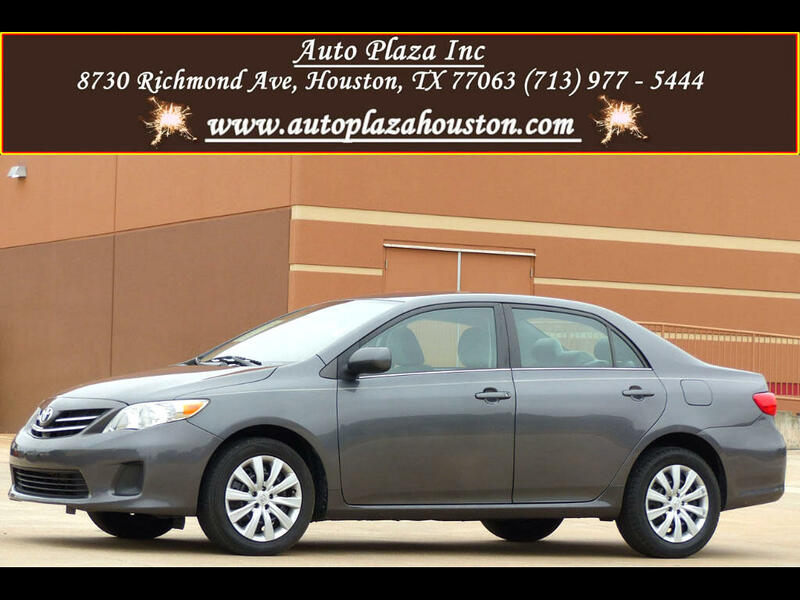 Used 2013 Toyota Corolla LE 4-Speed AT for Sale in HOUSTON TX 77063 Auto Plaza, Inc.
Auto Plaza Presents This Clean 2013 Toyota Corolla LE With a Slick Automatic Transmission!!! This Sedan is sure to have a Little Something for Everyone; Whether you have a Family and need a Comfortable, Roomy Interior, or an Individual wanting a vehicle that offers a fun drive, This Toyota Corolla is the one for you! It is Economical, Affordable and Reliable. Options Include CD/MP3 Player, AUX and USB Input, Bluetooth Handsfree, 16' Wheels, Traction Control, Cruise Control, Keyless Entry, Power Locks, Power Windows, Power Mirrors, Rear Window Defroster, Air Conditioning, Tilt Wheel, Driver Air Bag, Antitheft engine immobilizer, and More! So, CALL TODAY to Schedule a TEST DRIVE!!! Financing Available!